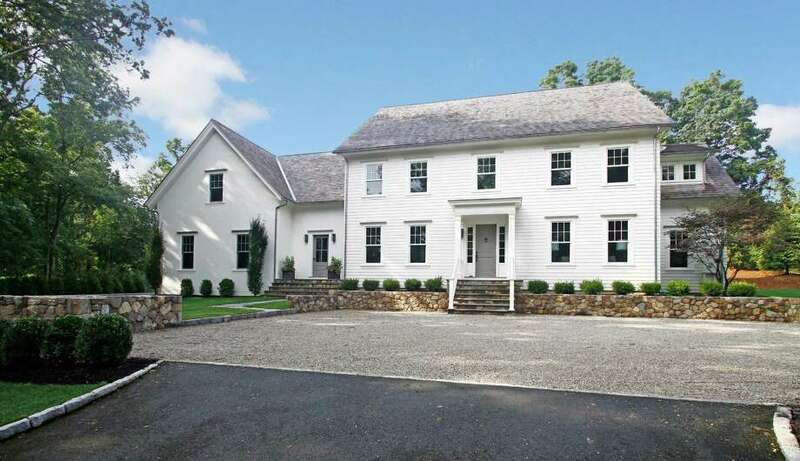 New construction was a hot commodity in Westport in 2013 and contributed to the market rebound. This custom Colonial on Long Lots Road, built by NEST Development, closed at $2,750,000. The official numbers aren't in yet, but I can confidently say that the residential real estate markets in both Westport and Weston enjoyed very good years in 2013. Last January in this space, after four years of difficulty (five in Weston), I reported a glimmer of promising news in our local real estate markets. Houses began selling at unexpected prices in Westport. And the Weston market woke up from its deep sleep, becoming -- once again -- a most desirable place to live. The year progressed. As December came to a close, there were two words ringing in every local real estate professional's mind: "We're back!" In Westport, single-family home sales soared from 362 in 2012 to 465 in 2013 -- a 28 percent increase, according to Consolidated Multiple Listing Service figures that were available Jan. 6. In Weston, sales leaped 30 percent in the same period, from 135 to 175. Clearly the market is alive and well again. In Westport, values in 2013 were up about 9 percent from a year earlier, with an average sale price of $1,533,000. In Weston, prices rose 4 percent, with an average transaction of $856,900 in 2013. `Pre-downturn" feel: In Westport, the market is feeling very "pre-downturn." People seem to have forgotten that the market was ever down. Buyer confidence has returned. Sellers are breathing a sigh of relief. Inventory favors sellers: We ended the year with very low inventory, which pushes up prices. Right now there is very little to show potential buyers at most price points. Multiple offers: Multiple-offer situations -- "bidding wars" -- were very common, consistent with the previous point. By my count, 53 Westport houses and 24 in Weston closed over asking price in 2013. This does not include new homes that closed over asking due to extras bought from the builder. Build it, and they will buy: New construction is hot as ever, at all price points. Two key measures of the housing market -- number of homes sold and average price -- document a rebound in Westport's single-family market in 2013. Source: Consolidated Multiple Listing Service as of Jan. 9. No land in sight: Land is still tough to find, and builders continue to search hard for it. Land prices are stable except for the occasional high-price purchase in a killer location. Oldies are goodies: 2013 was the second great year in a row for antique properties -- an interesting juxtaposition versus buyers' love of newly built homes. Skittish about beach: It was a tough year for beach-area homes, reflecting fear of yearly weather events and uncertainty surrounding future availability and cost of flood insurance. Beach area homes which that sold in 2013 were mostly direct waterfront and/or compliant with FEMA elevation guidelines. Weston's impression: As for Weston buyers in 2013 once again viewed it as a top housing destination. That's because the town has great schools, high quality of living and, some say, its lower-key vibe versus Westport. Under a million: Weston is also desirable because buyers can get a substantial, livable home between $700,000 and $1 million -- a challenge that's tougher to achieve in Westport. High-end sales: Finally, Weston's higher-end market, which had been nearly shut down for the past four to five years, showed signs of reopening, with two $2 million-plus sales in 2013. All in all, such a strong 2013 bodes well for 2014. Evi Coghlan's "The Real Deal" appears every other Friday. She is a licensed real estate agent with the Riverside Avenue office of Coldwell Banker and a former marketing consultant to Fortune 100 companies. Evi may be reached at 203-247-6691, by emailing her at evi@evicoghlan.com, or visiting www.evicoghlan.com.